harriscountypl is one of more than 5,000 organizations on LibraryThing. 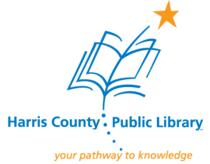 About meHarris County Public Library is located in Houston, TX. It has the highest circulation of any library in Texas. About my libraryOur library is a collection of items that we have recommended to people in our Book Hunters: Personal Reading Consultants service.